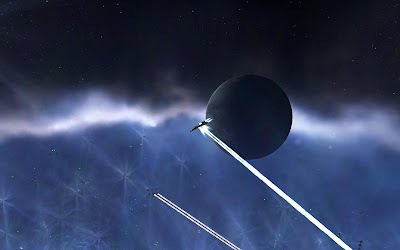 In two days, supposedly, a huge coalition of bad willing alliances is going to attack the peaceful guardians and gentle capsuleers of the Northern Coalition, of which the Tau Ceti Federation is a pillar. The IT Alliance did not begin this war with a victory. In Saranen, a low-sec system obviously used for logistical purpose by SirMolle's throng, a glorious fleet of the Northern Coalition has defeated a poorly coordinated fleet, reinforced a FinFleet starbase and held the ground. One of the key factors of this victory is the introduction of the new secret weapon, the Arbinought: a cruiser-sized capital ship which I was honored to pilot in battle. What, "pictures or it did not happen"? I hope you take notes, son. If I'm dead, you're the one in charge of propaganda here.